Brian Bailey didn't set out to be a band booking impresario; he just wasn't entirely satisfied with his concert-going experience. As a folk music fan, Bailey felt Rochester was getting passed over by national touring acts, and what shows did make it to our dirty little city along the mighty Genesee were being booked into venues that weren't necessarily a good fit for the artist or the fan. "I just don't think promoters were bringing it in," Bailey says. "Not enough from my perspective. It seemed every time I looked, I had to go to Buffalo or Ithaca or Toronto. I've been to the Newport Folk Festival a number of times; I just love the music they have there. And I think a lot of it doesn't come to Rochester. It felt like we were left out of the loop." Inspired by the Newport Folk Festival and the success of the Rochester International Jazz Festival, Bailey initially shot for the moon. "We got a little ahead of ourselves in the beginning," he says. '"If Newport can have a folk festival, why can't we?"' Alas, reality set in. Not one for hand-wringing or lamentations, Bailey and his like-minded friends Greg Wiktorski, Jenna Knauf, and Joe Moore founded Honest Folk to address the deficit by bringing indie-folk and singer-songwriters into town and presenting them in a pop-up setting. It was both unique and infinitely more appropriate for those who wanted to listen and actually hear what the artist was saying. "Words are important," says Bailey, who's a college professor by day, "so are the melodies, and the violin, and the cello. And someone's talking while you want to listen." But according to Bailey, the quartet that formed Honest Folk weren't really a booking agency, but rather middlemen with good taste in music. "It was more like, 'Let's do some pop-up shows where we front the money, bring in a band we think is really good, and eventually people will think if we're doing this, the band must be really good,'" he says. "What we're doing is taking artists that are too small for a big venue yet good enough that you wouldn't want to hear them in a bar and instead see them someplace where you can focus on it and really hear it. You know how it is, you go to a bar and it's really loud. It doesn't work." The beauty of the pop-up show is its non-convention. Honest Folk transforms a non-musical setting -- like Restaurant Good Luck, The Arbor Loft over Hart's Grocery Store -- and elevates it into an intimate performance space capable of holding right around 180 to 300 souls. "We feel that amount of people is ideal," Bailey says. "We're bringing in nationally touring acts; they have guarantees. Anything below 180, it's hard to make the math work financially." Honest Folk keeps the overhead low by charging $25 to $30 per ticket with 10 percent of all food sales, beer sales, and ticket sales going to the Center for Youth. And whatever waste generated by these pop-up shows is handled responsibly by Impact Earth, a local zero-waste solutions company. The beer, wine, and food is covered by the caterer, and the shows are always put on in a public space, unlike house concerts. There's hired security in place just in case. "It's pretty mellow," Bailey says. "Our audience tends to drink a few beers, and sit in chairs and listen to music." With two sold-out shows to its credit so far, Honest Folk relies on social media and word of mouth. And they target everyone; this isn't just for the cooler-than-thou elite. There's not a hidden, speakeasy aspect to it. "I think they are serious music lovers who come to our events," Bailey says. "We tend to do these events on Monday nights, so to some extent, I think it's people looking for something different to do. And we're not going after traditional folk. We're not going after Peter, Paul and Mary. We're going after contemporary singer-songwriters and folk artists. I think it would be cool to do some genre bending, too, like hip-hop with a folk band. We're definitely open to genres, but right now our sweet spot is folk." 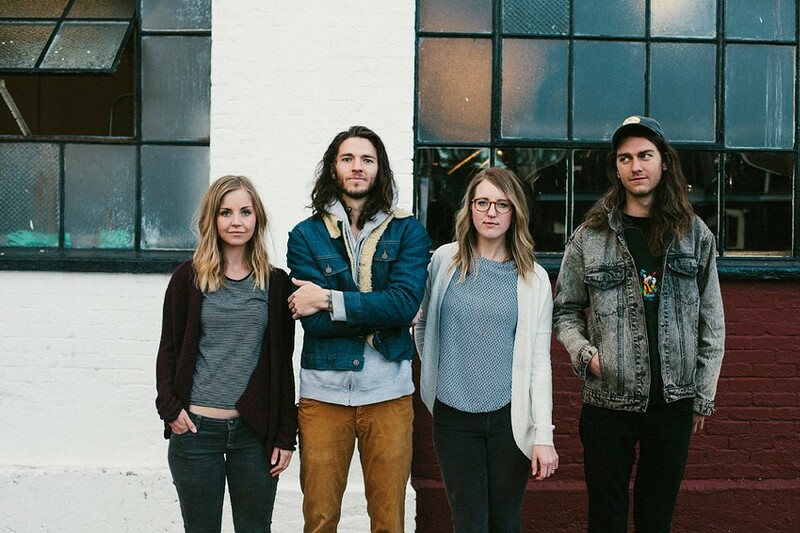 Honest Folk's next pop-up concert is the strikingly sparse yet harmonically rich band Tow'rs from Phoenix, Arizona. Beyond that, the plan is 4 to 6 pop-up shows annually. And the word is out; according to Bailey, Honest Folk's phone is beginning to ring. Bands want to play an Honest Folk show. They may have to wait. "We're really picky how we curate this," he says.